Those of you lucky enough to own a PlayStation VR headset may be interested in a new team which is launched today October 25th 2016 in the form of Windlands. 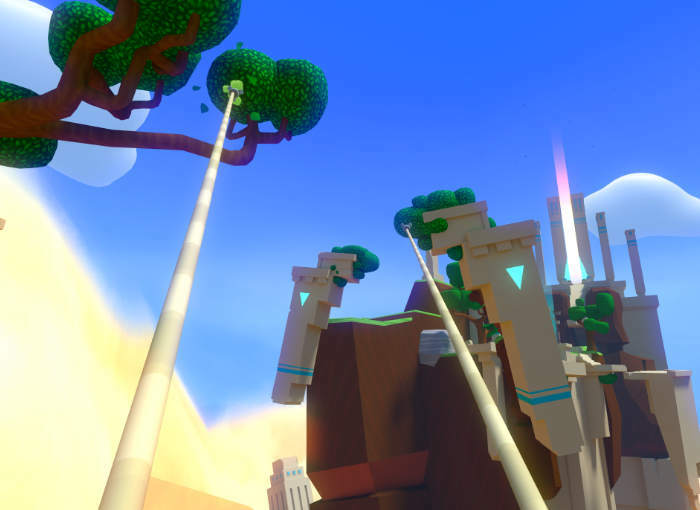 Windlands takes the form of a first person grappling hook exploration game that takes place in a fallen civilization, allowing you to discover the secrets of the ancient world. Windlands is now available on HTC Vive, Oculus Rift, PC OSX and Sony’s new Playstation VR headset. Check shown below to see what you can expect PlayStation 4 version of the game. – Designed for Virtual Reality First for the Oculus Rift and HTC Vive, this leads to a rich immersive 3D environment with details you can lean into and see, this also presents perfectly in 2D. – Grappling hooks focused movement. – Variety of expansive levels that reward exploration. – Multiple routes provide a range of optional challenges. – Skill based, Speed Runs and Time Trials. – Collectibles that reward exploration and completionism. – Calm, Positive, Pressure-Free, Non-Violent, Zen like relaxing play. – Unlock hidden areas and discover the many secrets. Create new paths and bring life back to the shattered world. For more information on the new Windlands virtual reality game jump over to the official website for details by following the link below.